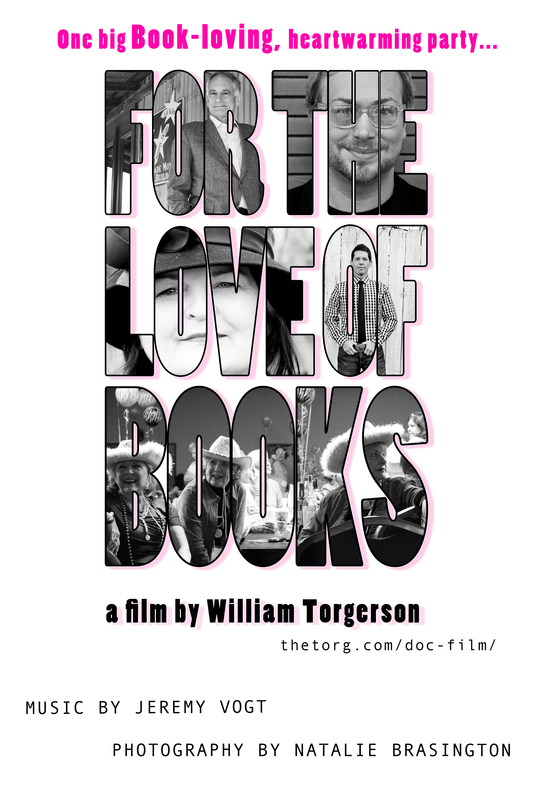 For the Love of Books is a hilarious and heart-warming documentary film shot in Jefferson, Texas about Kathy Patrick and the Pulpwood Queens’ annual event, Girlfriend Weekend. The film will screen as a part of the first annual Phenom Film Festival at 6:00 p.m. on Saturday, September 8 at the Bossier Civic Center. The screening location is located at 602 Benton Road, Bossier City, Louisiana. A post-screening party is planned at the East Bank Gallery located at 630 Barksdale Boulevard, Bossier City, La 71111. For more details, come to the screening! The founder of the Pulpwood Queens Book Club, Kathy Patrick, owns and operates what is probably the world’s first hair salon / book store and the book club has grown to over three hundred chapters. 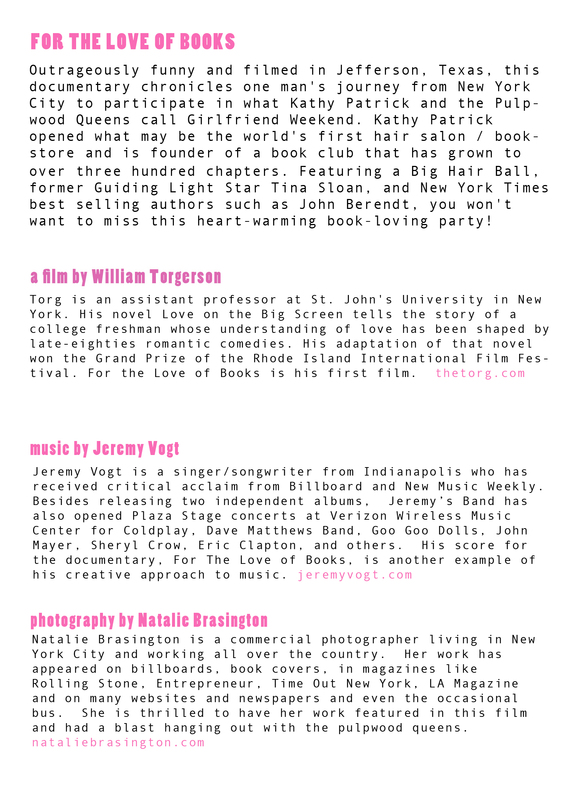 The film chronicles the twelfth annual Girlfriend Weekend that took place in 2012 and features over forty authors including Guiding Light Star Tina Sloan, New York Times best selling author John Berendt, and events such as a Pretty in Pink Prom Party and a circus-themed “big hair” ball. The Phenom Film Festival runs from September 6-9 and will screen one-hundred and thirty-two films from twenty-one countries. Venues include the East Bank Theatre, the Courtyard Marriot in Bossier City, and the Bossier Civic Center. This entry was posted in Torg Life and tagged book club, comedy, great read, hilarious book, Phenom Film Fest, writers. Bookmark the permalink. ← Twitter in the Classroom?